Happy Valentine’s Day! On this day I want to spread the love about a new book. 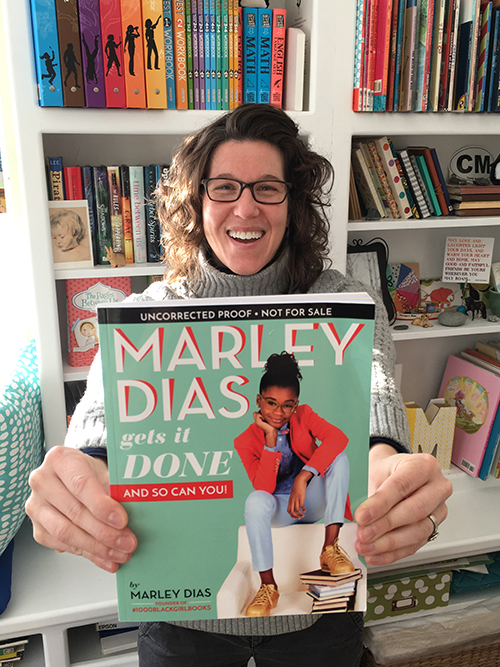 My heart is full of joy and gratitude at having been on the design team to bring this special book into the world: MARLEY DIAS GETS IT DONE AND SO CAN YOU! Marley is a young lady who as a sixth grader she started the #1000blackgirlbooks campaign to collect children’s books featuring black girls as the main characters. In her own book she tells you her biography, how she started #1000blackgirlbooks, and then how kids and young adults can channel their passion to make a positive change in the world. I highly recommend others to read her story and find their own cause to champion to help make our world a better place.